Etsy is one of our favorite resources when it comes to on trend, affordable style for our kids. The problem? It&apos;s become SO large that it can be overwhelming and time-consuming to weed through and find the shops worth our hard-earned money. Let us save you some trouble and report that Your Little Loves is one of the gems of Etsy - a shop definitely worth checking out. 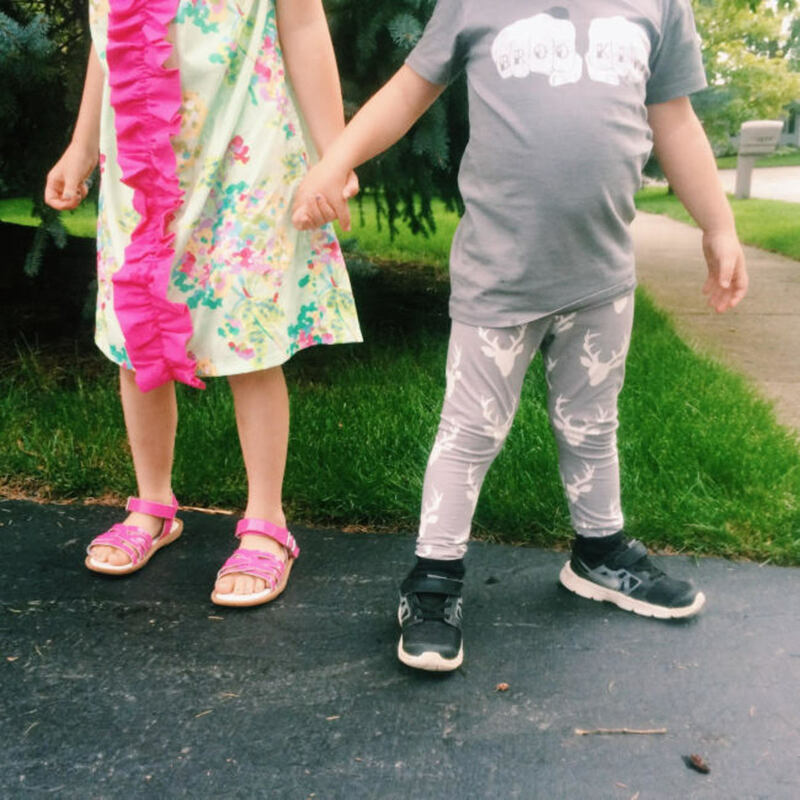 Shop owner Julie creates unique custom clothing and jewelry for little boys and girls - from newborn necessities to size 6. 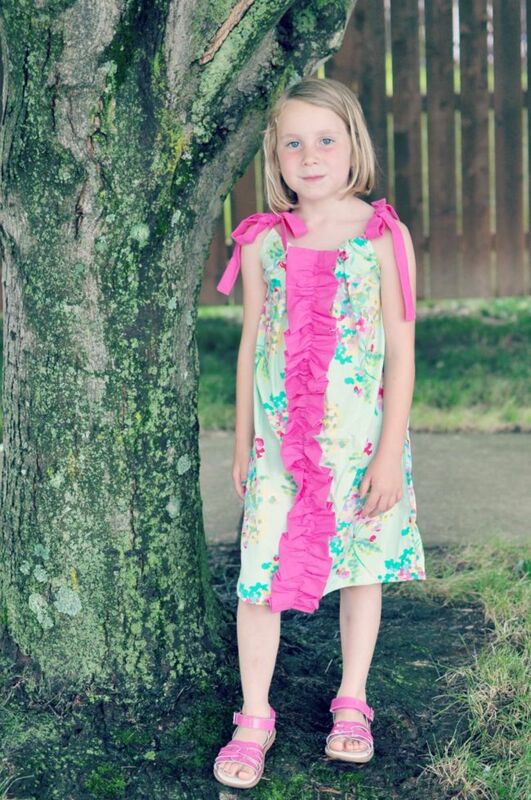 You&apos;ll find everything from leggings and bandana bibs to pillowcase style dresses and chunky necklaces for girls. The common theme? Everything is ridiculously cute. We were lucky to get a few pieces to style and share, so let&apos;s talk specifics. 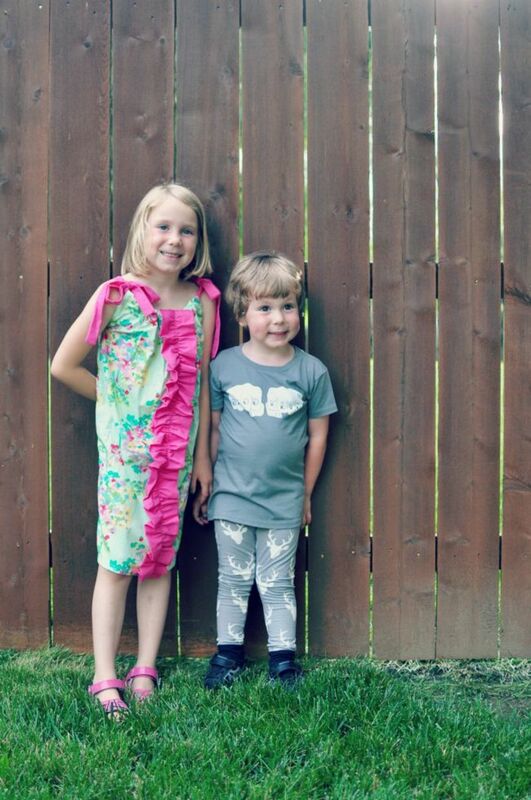 I am thrilled that Max hasn&apos;t outgrown leggings because, frankly, I&apos;m still obsessed. I know how much *I* enjoy the comfort of leggings and I think my active little dude probably appreciates the casual comfort, too. He&apos;s wearing the Boy Deer Knit Pants in size 4T, and they fit very true to big box store size. The black ankle cuffs blend right into his "fast shoes" (on the wrong feet, natch), but this is the sort of quality detail we found throughout the samples. The elastic waist fits well and won&apos;t be drooping over his bum. 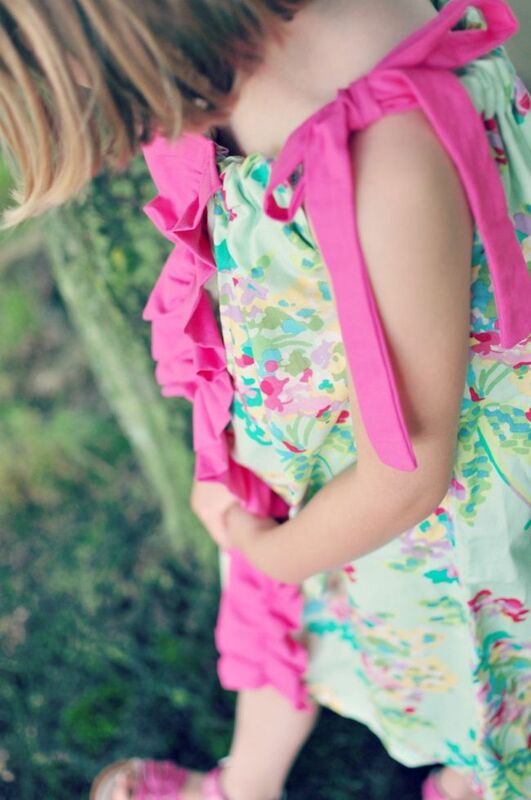 My daughter is wearing the Green Mint Floral Pillowcase Dress with Ruffle - oh, that ruffle! It is such a darling and attention-grabbing detail. She loves it! The dress is easy to adjust to size with the tie top shoulders so I know she&apos;ll be able to wear the heck out of it (future shirt with leggings!). The dress is great for a special occasion (even as one as simple as National Ice Cream Day! ), but is also easy to wear for every day. 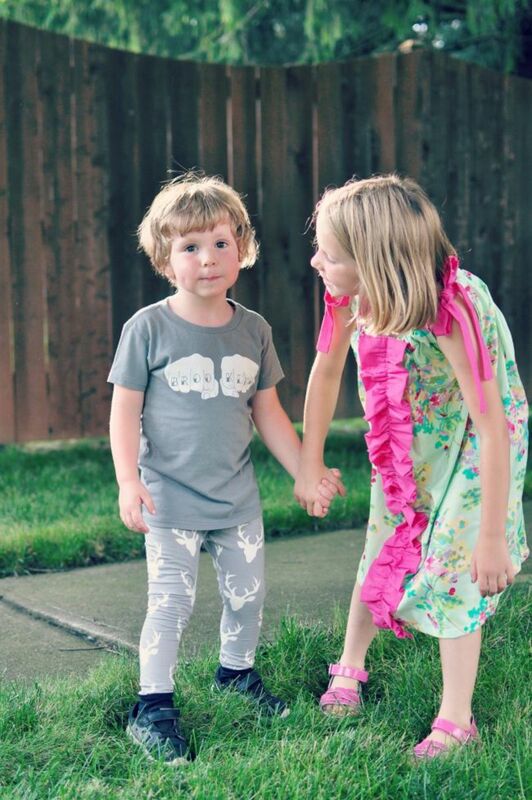 In addition to dresses for big girls, Your Little Loves has super cute ruffled pants and leggings. Keep your eyes on our Instagram to get a look at this pair of Floral Aqua Leggings. Shop! Visit Your Little Loves on Etsy and make sure to follow Julie on Instagram, Facebook and Twitter to be the first see what&apos;s new.